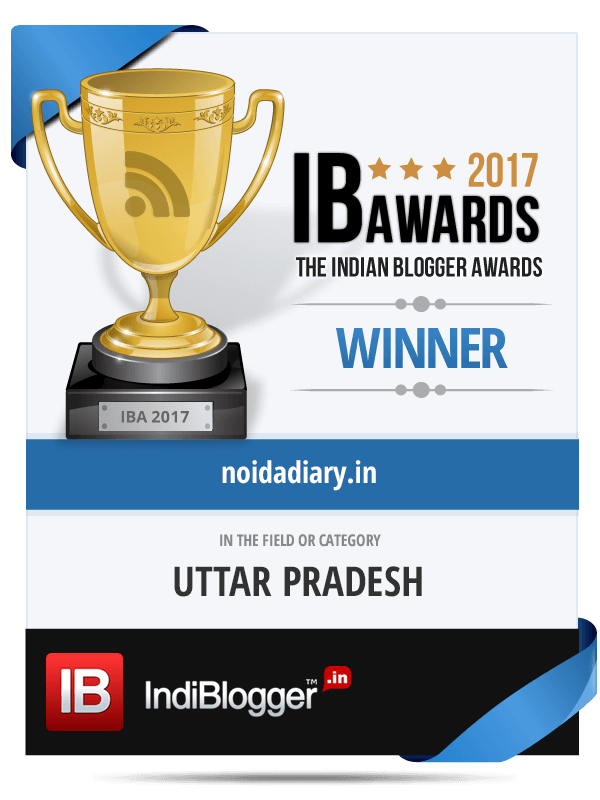 How to Enjoy a Fun Sunday in Noida - Noida Diary - Rediscover Noida With Us! KIDZANIA DELHI Introduces Fun Family February! Make Way, Santa is coming to Noida! 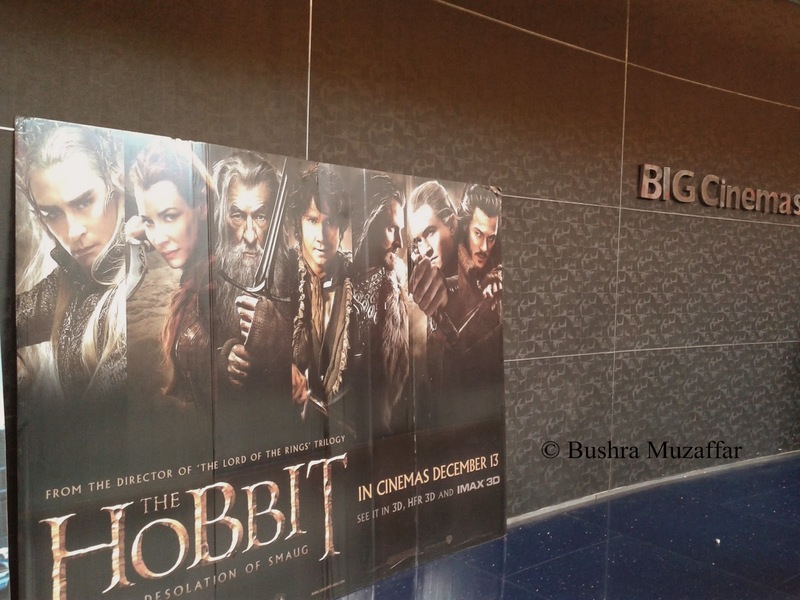 Take a break from the usual Sunday, snuggling up in bed late, and watch the movie ‘The Hobbit: The Desolation of Smaug’ at Big Cinemas, TGIP Noida. Treat your family to the fantasy world of wizards, dwarfs, elves and orcs. Get enchanted by the fire-throwing talking dragon – Smaug. This second action-fantasy film in Peter Jackson’s Hobbit trilogy is an exhilarating adventure tale. Gandalf – the wizard persuades Thorin – the dwarf king to reclaim the lost Dwarf kingdom of Erebor from the menacing greedy dragon Smaug. They are helped by a motley team of dwarfs and Bilbo Baggins, the Hobbit – tasked to steal the gem ‘Arkentstone’. Their journey is entertainingly full of charm and mystery – outrunning giant wolves and Orcs, outwitting giant spiders and out-thinking Elves. The great escape from Elvish castle is our favorite part of the movie – action-packed and hilarious. Legolas and Tauriel – duo are supremely entertaining elf archers. The movie has earned a four-and-a-half star rating by most of the critics. We would recommend it as a good movie to watch with kids. What is a movie experience without snacks?! No fun. 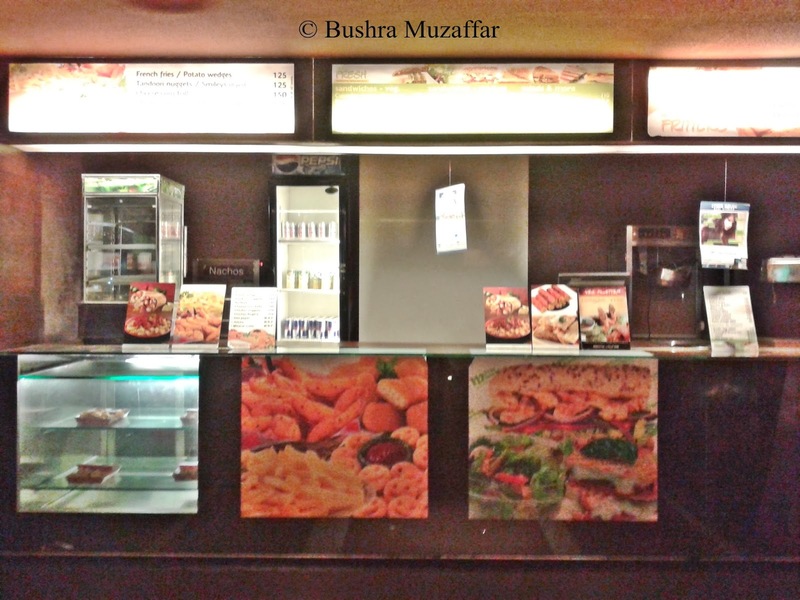 Order for eats at the snack counters inside the cinema hall. The regular eats available are popcorn, nachos, burger, sweet corn, sandwiches and beverages. We recommend a masaledaar ‘paneer tikka‘ and ‘Schezwan paneer‘ frankie for a change as a yummy accompaniment for the movie. One card for all games. Pay upfront. 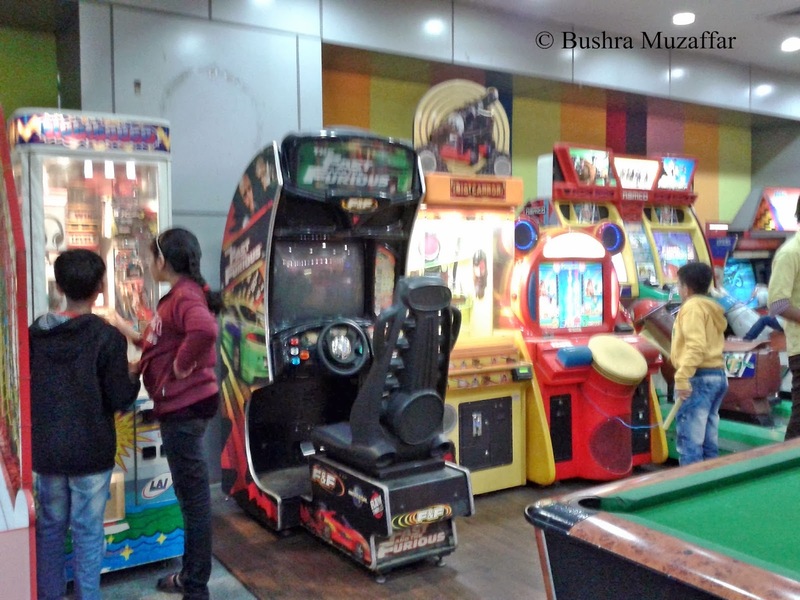 After a good movie hit the F123 Gaming Zone – a complete family entertainment center. 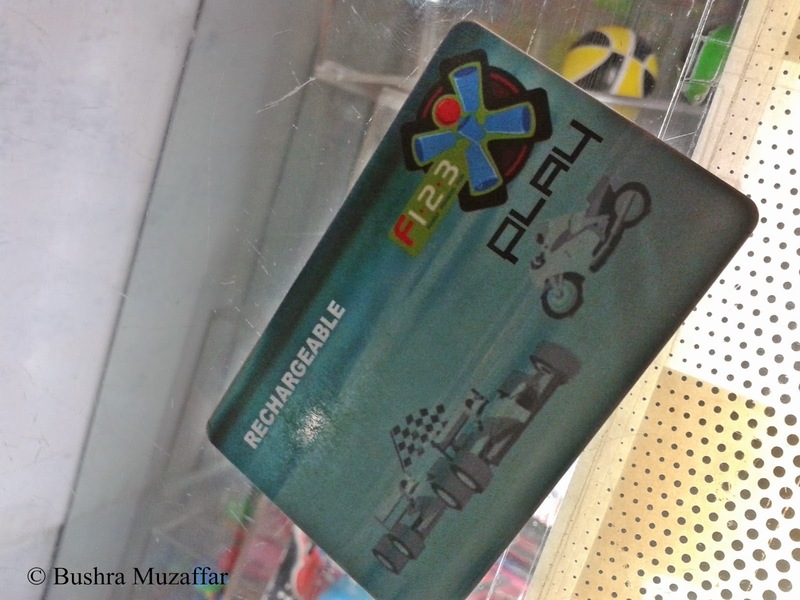 Get a rechargeable game card at the counter and let the kiddos have fun at video games – fighting aliens and dinosaurs, winning races, tickets and toys. There is an array of video games lined for the kids to enjoy. One has to wait their turn to play air-hockey, which is very popular among the visitors of all ages alike. There are several games where you can win and redeem tickets while others are pure fun. 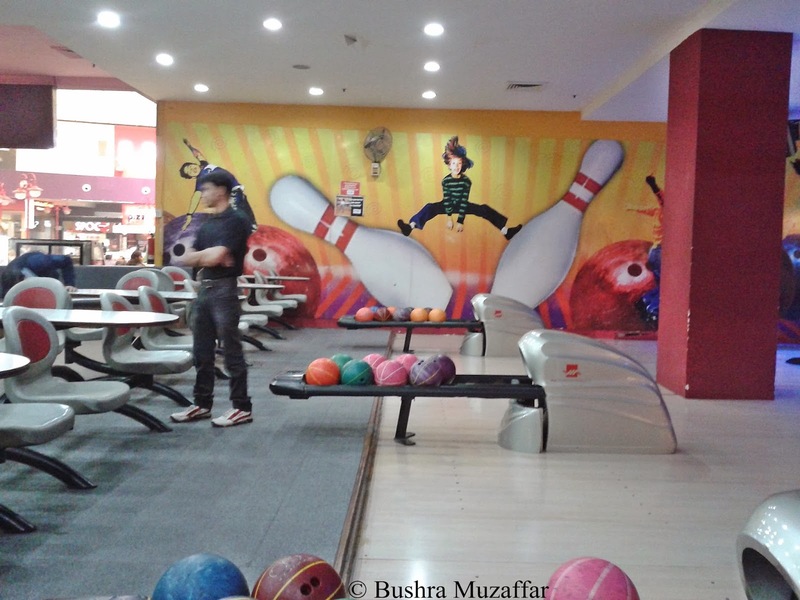 Indulge yourself in a game of bowling or simply relax and watch others play while you wait on your kids to finish their wingding. Small eats of decadent desserts are also available for the sinful sugary indulgences. Adjacent to the gaming zone is the sprawling food court of TGIP on the third floor of the mall. Food court is a good idea if you have people demanding a variety of food. 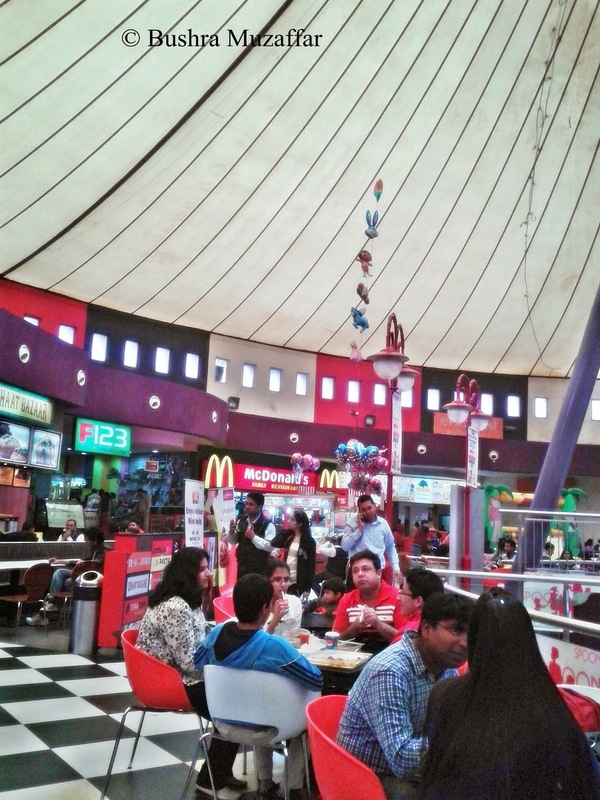 It boasts of a complete range of food from national and international menus – South Indian idli, dosa, Lebanese Schwarma, Italian Pizzas, Chinese Noodles, Sizzlers, Chaat-bhelpuri, Punjabi Chhole and the popular McDonald’s and Subway too. Alternatively, choose from a variety of cuisines available on this floor at the specialty restaurants. I scream. You scream. We all scream. Ice cream!!! 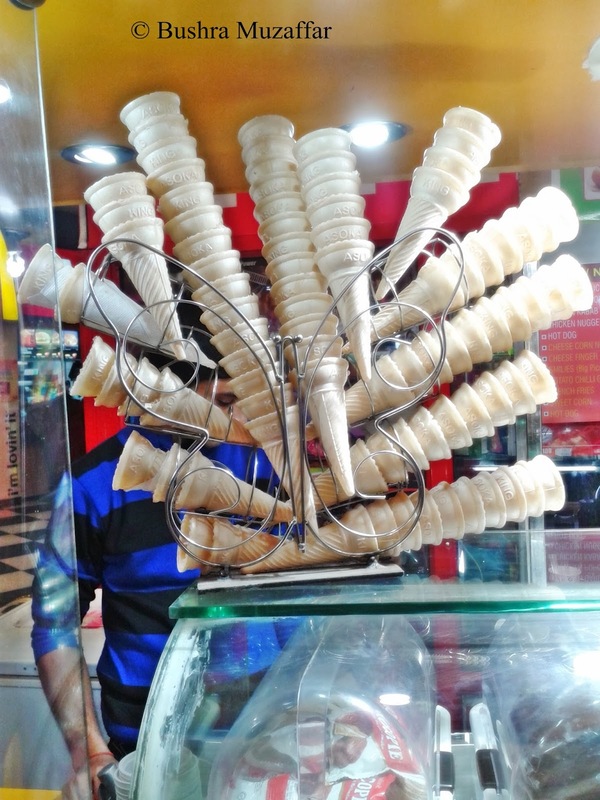 Ice creams never go out of favor – even in winters. You have a choice of ice cream outlets on the top floor of the mall – Baskin Robin’s, McDonald’s and the one next to the F123 gaming Zone. Conclude with a round of ice cream with flavor of the day! The next change Dhoom 3 is another movie worth your time. Catch it on next weekend and do not forget to share your experience with us. Thanks for dropping by Gowtham!! I am glad you liked the post. Thank you Rajesh. thanks for sharing. going to be in noida soon. so collecting info on the city. Yesss Ice cream! Can anyone deny this temptation?!! Thanks Anita for stopping by!!! Then you must keep coming back to my blog 🙂 I am happy to be of some help! Thanks Ankita for stopping by!! !